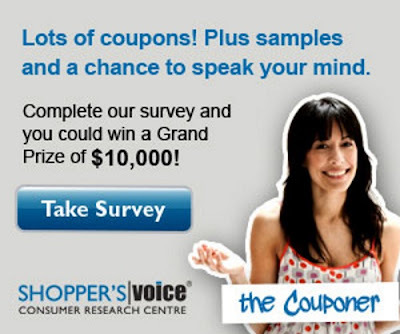 It's a new year and time to take the new Shopper's Voice 2016 survey! Complete the survey here to be eligible to receive personalized email offers with coupons and free samples throughout the year! As an added bonus this year, everyone that complete the survey will be entered to win a $10,000 cash prize or 1 of 12 monthly prizes of $500 gift card. This survey is long so be sure you give yourself a lot of time too complete! When i click the link and fill in the first form...there is no submit button...any one else having this issue? Thanks just completed it, I love getting the samples from this, cause they are for stuff I'd actually buy.